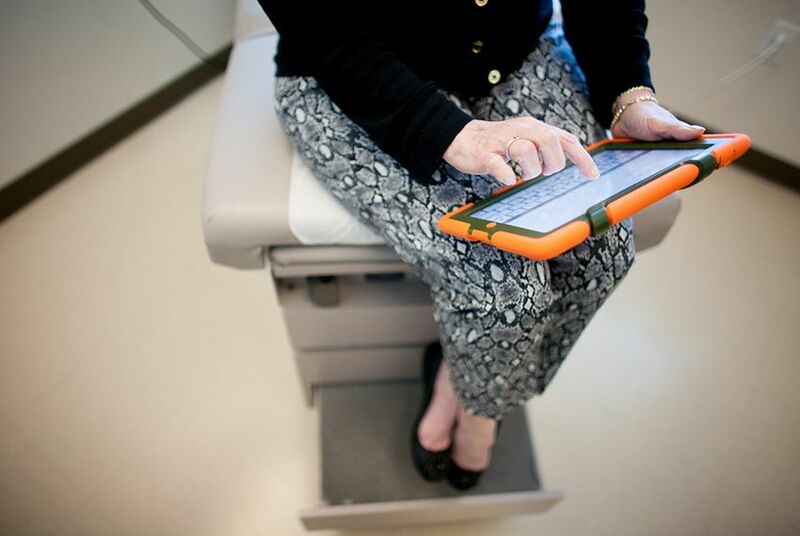 A hotly contested rule governing telemedicine in Texas won't immediately take effect, a federal court ruled late Friday. *Editor's note: This story has been updated with a comment from the Texas Medical Association. A temporary injunction issued by U.S. District Judge Robert Pitman spelled an early victory for Dallas-based Teladoc, a company that connects patients and doctors over the telephone and internet, in its anti-trust lawsuit against the Texas Medical Board, which licenses and regulates physicians. The medical board adopted a new rule earlier this year that would prevent doctors from treating people over the phone — making a diagnosis or prescribing medicine — unless another medical professional was physically present to examine the patient. The rule, which could jeopardize Teladoc's business model, has the support of the Texas Medical Association, a lobby group for "brick and mortar" physicians who say it would improve patient safety. The rule was scheduled to take effect June 3. But Pitman's ruling effectively told the medical board to hold its horses until the lawsuit is resolved. He said Texas' physician shortage, particularly in rural areas, lent credence to Teladoc's argument that the board was behaving anti-competitively. "Elimination of physicians providing health care would thus negatively impact not just the competitor physicians, but consumers, a classic anti-trust injury," Pitman wrote. Teladoc has fought with the Texas Medical Board in court for years, arguing its business model is safe and effective. This year, the company tried unsuccessfully to find a sympathetic ear at the Texas Capitol, assembling a top-flight team of more than a dozen lobbyists to try to persuade state lawmakers to step in and trump the medical board with a new law. But with the company's favored bills gaining little traction in the Legislature, it announced a lawsuit in April alleging that the Medical Board, composed mostly of physicians, was trying to stifle competition from the telehealth company. The lawsuit is ongoing, but Teladoc CEO Jason Gorevic hailed the postponement of the medical board's rule as a major victory. "In the face of increasing physician shortages and rising health care costs, other states across the country have found solutions that embrace telehealth and all its benefits while ensuring patient safety," he said in a statement. "Today’s court ruling allows Texans to continue enjoying these benefits as well." The medical board considers Teladoc's practice of prescribing drugs to patients from telephone-only consultations to be prohibited. Board representatives, who have declined to comment on the case in the past, could not immediately be reached for comment. Texas Medical Association President Tom Garcia said he was "sorely disappointed" with the court's decision. "Protecting patient health and safety and improving the quality of patient care are the Texas Medical Board’s responsibilities," he said in a statement. "TMA supports the challenged rules and believe they fulfill the board’s mission." Disclosure: The Texas Medical Association is a corporate sponsor of The Texas Tribune. A complete list of Tribune donors and sponsors can be viewed here.